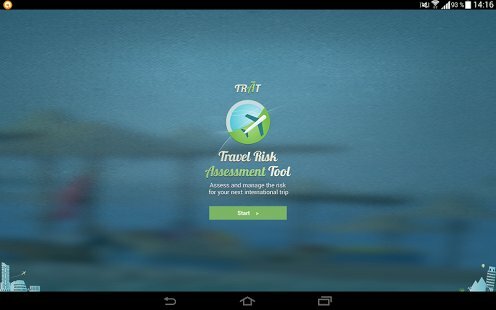 The Committee on International Travel Risk Assessment (CITRA) is charged by the Vice Provost for Global Initiatives and chaired by the Director of International Risk Management. The committee is dedicated to supporting Penn’s wide variety of research, professional development and academic opportunities abroad while ensuring the health and safety of Penn travelers. CITRA primary functions include the development of international travel guidelines and the review of undergraduate travel requests to locations on the Heightened Risk Regions List. All decisions made by CITRA related to undergraduate student requests to travel to high risk destinations include the input of both the staff and faculty members of the Committee, as well as appropriate faculty and staff representatives from the student’s school. In addition, international experts from across the University may be called upon to provide regional expertise when needed. If you need to get in touch with CITRA, please e-mail . Use this strap to help make a connection in any position during yoga, pilates or physical therapy. Flexible, cotton and durable (No Break In) yoga Strap. This High Quality strap keeps in place and does not slip during positions. **No Risk Purchase** Strap is long lasting and a NO Risk purchase with a Lifetime Guarantee. Dark colors protects against visible wear and tear. **Professional Strap** This strap is used and purchased by many professional yoga practitioners and can be seen in yoga studios across the world. Professional services are coordinated through a head office in Copenhagen, Denmark, with full-time regionally-based research analysts providing 24/7 intelligence from locations worldwide.